We had the Sophs this past weekend, which is usually a good time. These weekends are always packed with funsies, whether it's a ton of activities at the park, visiting with family, or a dance party and PJ day. They almost always involve Skookies. We head right over to Harry's parents' house right after picking her up Saturday. They were sweet enough to feed us pizza (all three of us were STARVING), and they even let me watch some of the Spurs vs. Mavs game. 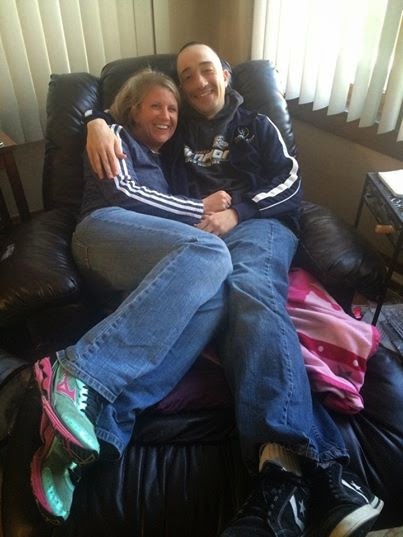 Harry and I snuggled up in his Dad's recliner...tightest snuggle ever! After some visiting, some pizza, some coloring with Grandma and some near-napping for Harry and I, we head home. My throat and sinuses were really bugging me, so I hit the sack early (it was 8:45pm or so at this point). Harry and Sophs stayed up for Skookies, in which I was slightly envious. I got up the next morning, still suffering from what I'm assuming was sinus blahhhhhh. I had a 10-mile @ pace on the schedule, but I ended up just taking it easy. I have the Wisconsin Half Marathon this weekend and didn't want to push anything, especially if I'm on the edge of getting sick. I also go this e-mail! SO EXCITING! Best believe, I spent most of my long run thinking about all of the amazing athletes and sporty girls with whom I would become besties! There are a few that live in and around Chicago; I can't wait for a meet-up run or Yoga sesh. After some breaky, we hit up the park for some kite flying, and then off to Fleet Feet in Old Town to pick up my packet. Harry wanted to show Sophs the ropes. This was her first time on a treadmill...I was so proud! We left Fleet Feet and dropped off Sophs. We won't see her for a couple of weeks, when she's doing the Run or Dye 5K with us! She's so excited to do it! Harry and I usually watch COSMOS on Sunday evenings. There have been a couple of occasions, like this past weekend, where we were just too doggone tired to watch it without dozing off. We love the snot out of the show, but the couch is sooooo comfy. :) So last night after dinner, we made some dessert and snuggled up for our show. Cookies and ice cream? Uh, YES. Are you watching COSMOS? What's your favorite thing about it so far? -Please don't say the water bear. Ew. Parents or peeps who love hanging with kiddos: What's your favorite activity? -Sophia LOVES baking with me! How cool is that? Any races you have coming up? How's your training going? Busy busy week! I hope you are feeling better. What is your goal for Wisconsin? My daughter loves to be outside so we spend a lot of time at the park or river front. 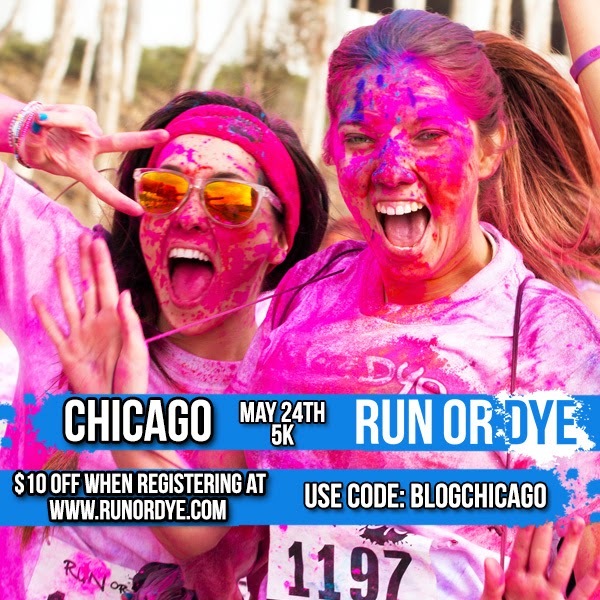 I can't wait to see your pictures from the Run or Dye 5k! Sophia is going to have a blast! I think Sophs will have a blast at the color race!